1. Special protective sleeve design can effectively prevent fish scald and enhance the impact resistance of heating rods. 2, using good temperature resistance, explosion-proof quartz glass tube. 3. 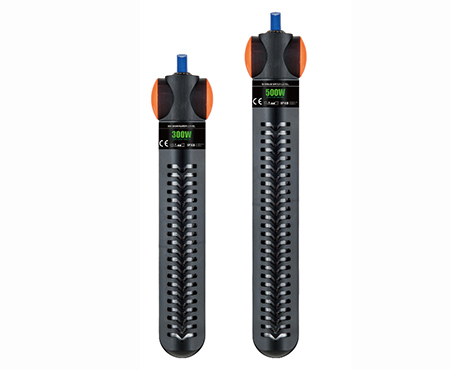 Set sensitive temperature regulator and over-temperature protection device inside the rod. 4, adjustable temperature 20 °C ~ 34 °C. 5, with a strong support hook and mooring suction cup, making it more stable and reliable. 6. The heater must be fully submerged in water and double sealed to accurately maintain the set temperature.